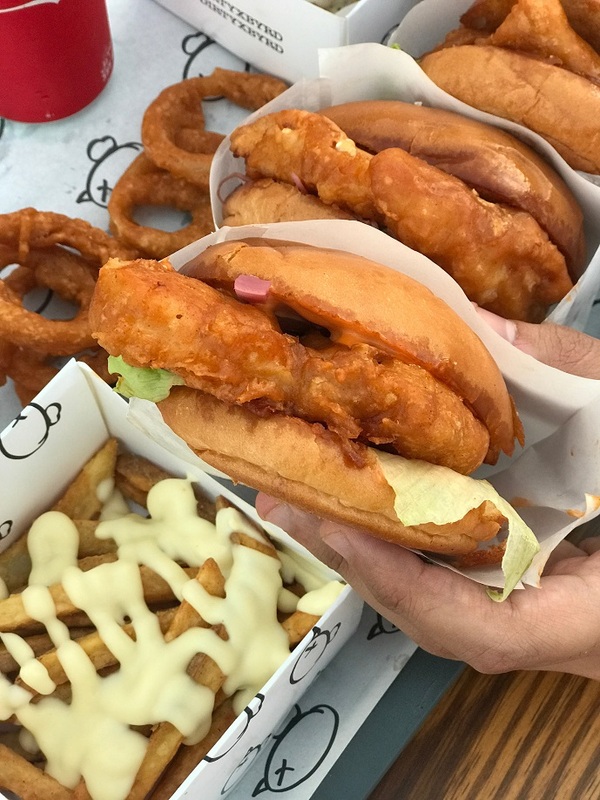 There are a lot of restaurants and fast food places opening up each and every day, that claim to specialise in serving up fried chicken sandwiches. Unfortunately, with so many choices comes a lot of disappointment; most of these places wind up serving fried chicken that pretty much tastes the same. Thankfully, this wasn’t the case with Dirty Byrd. 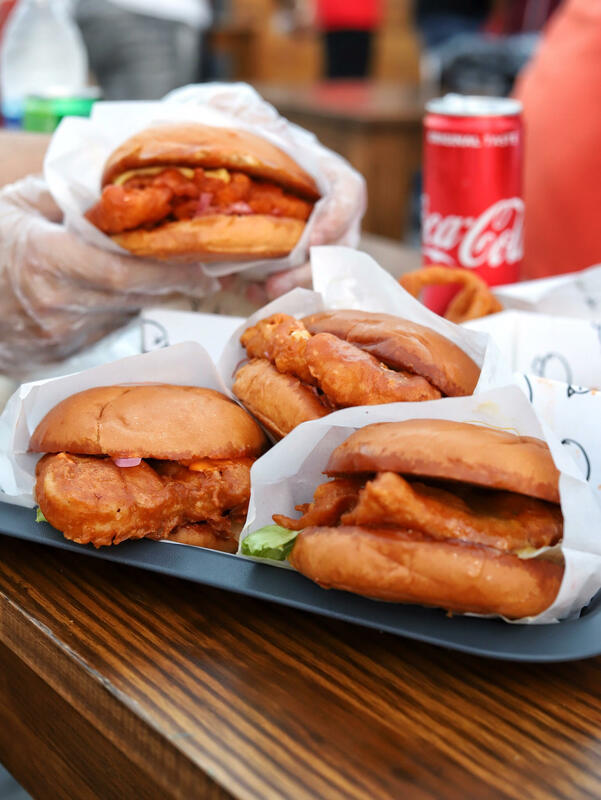 Located at the new Tivoli Plaza, Heliopolis, Dirty Byrd is a simple and casual food shack, with some tables and long benches located right in front of it: just a very neat, clean, and casual place. There is a menu hanging on the shack, and there is also a printed menu that you can grab at the cashier. Starting with the Burnin’ Buffalo sandwich, it consisted of a fried chicken breast, coated with buffalo sauce, topped with cheese and coleslaw, and served in an outstanding rich and super soft bun. The super juicy fried chicken was bursting with spices and flavours thanks to the Cajun marinate, and the crust was very light and airy. The tangy buffalo sauce contained the right amount of heat, and the coleslaw complimented the sandwich without overpowering its flavours. As much as we loved the burnin’ buffalo, things got a bit repetitive with the Dirty Blend and Sriracha Mayo sandwiches. The Dirty Blend tasted exactly the same as the Burnin’ Buffalo, except that the buffalo sauce was drizzled on the chicken and contained a hint of blue cheese. Meanwhile, the Sriracha Mayo lacked that strong, sweet, and spicy flavour that we were looking for and, again, tasted like the Burnin’ Buffalo, only less spicy. Don’t get us wrong, we loved everything but we were hoping for something more unique in every sandwich. The chicken’s taste and freshness stood out more in the Honey Mayo Sandwiches, as there were no strong spicy flavours and the coleslaw was replaced by fresh tomato slices and iceberg lettuce. 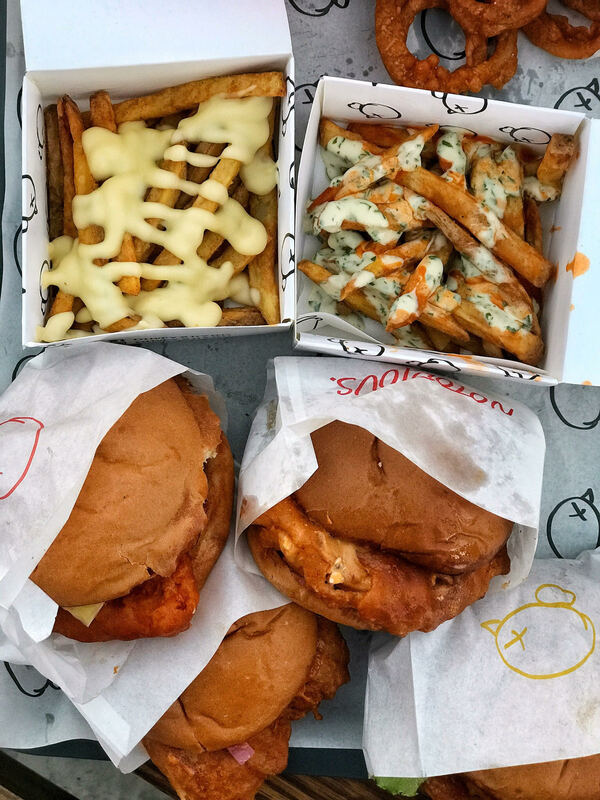 As much as we enjoyed the chicken in this one the most, we felt like the sandwich was more of a classic sandwich since we didn’t feel the presence of the honey mustard at all. We understand there’s room for small mistakes to happen since it is their 1st week of operation in Heliopolis. Moving to the side chicks, the thin Onion Rings stole the show with its crispy tempura-like crust. The Cajun Cheese Fries, which were super crispy and far from oily, impressed us. The fries tasted fresh and homemade, and were perfectly seasoned. As for the cheese sauce, it similarly tasted homemade, but it could use more cheese flavour and a bit of seasoning. Finally, the Dirty Fries arrived drizzled with spicy and tangy buffalo sauce and fantastic homemade ranch sauce. Dirty Byrd is one of the coolest places we’ve been to in a very long time. We’re so happy that this is a local brand that has a unique identity and a menu like no other. We can almost see it as a big franchise very soon, if it maintains this worldwide-like quality. Dirty Byrd has a branch in Hacienda (prices may vary). The concept and the food are great. Different sandwiches were a bit too similar in taste.